Facebook has been supporting 360-degree videos on its website for a while, but there’s not a whole lot of content available yet. Looking to change that the company today announced it has designed and built a durable, high-quality 3D-360 video capture system, and it’s open sourcing both the hardware and the accompanying stitching code to accelerate the growth of the 3D-360 ecosystem. Everything will ve available on GitHub this summer. 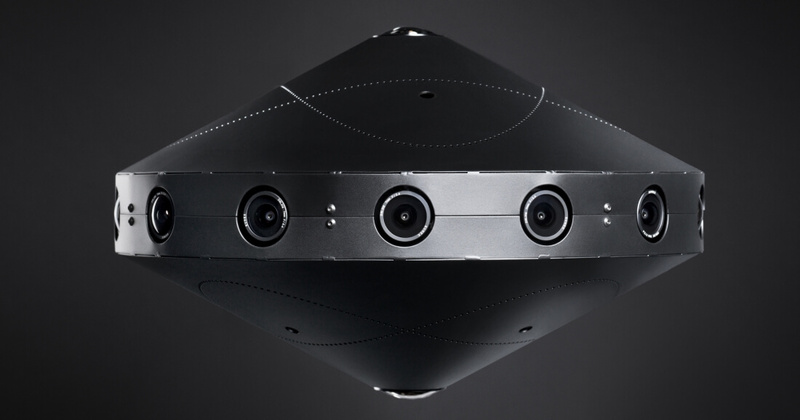 The Surround 360 uses a total of 17 cameras, including 14 wide-angle cameras, plus one fish-eye on the top and two on the bottom, allowing it to capture video without showing the pole that holds the camera up. The process of stitching everything together into stereoscopic 360 panoramas is done with little to no hand intervention, and the result can be exported to 4K, 6K, and 8K video for each eye. The output file from the system can be viewed in VR headsets such as the Oculus Rift and Gear VR as well as shared in places like the Facebook News Feed. Facebook itself will not be selling the 360 camera. Instead, the intention is to lay the groundwork for a professional-grade end-to-end system, encouraging developers to build the camera for themselves. But if you were thinking the open source nature of the Surround 360 meant it was also going to be affordable, think again. According to Facebook the materials to build the Surround 360 cost around $30,000.